Just one week to go – please vote!!! A million thanks to all those who have voted or left kind comments – to those yet to do either, get on!!! I unfortunately had to delete my Facebook account during the process (due to some really annoying hacking, resulting in the sending of spurious messages from my account) so that route of promotion is now dead to me… if anyone wants forward the link to my shed and get their friends, family, pets or even complete strangers, that would be fabulous!!! Have lots of interesting posts to come (The Cakes, steampunk, design things etc) but wanted to get this Shed malarkey out-of-the-way first! 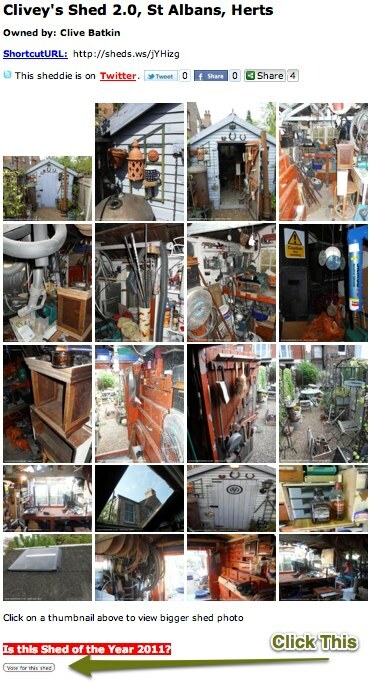 Your friends and family now have until Noon Sunday 5th June to Vote for your Shed in this year competition. Please promote it on Your website/blog on Facebook/Twitter or any other social network you are a member of..
I’d love it if anyone out there would add a vote or a comment – let battle commence!! 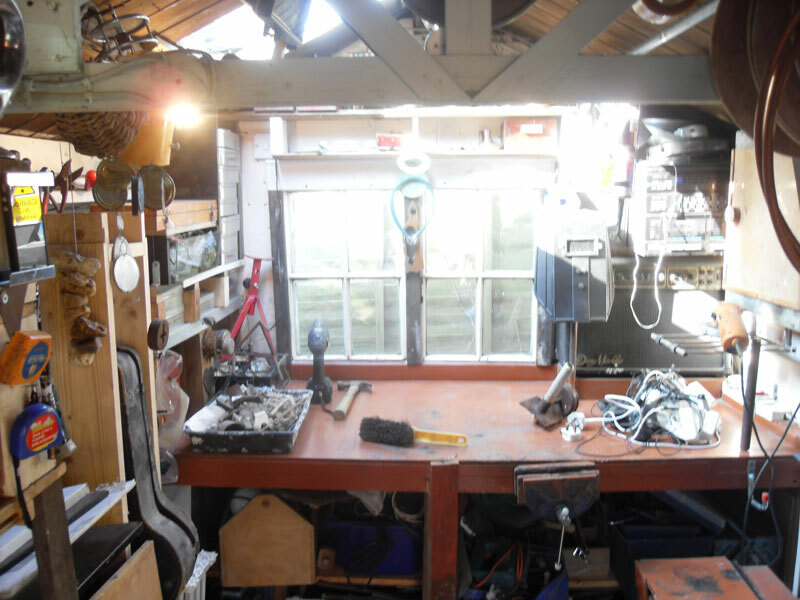 So, this year I have decided to give another go at winning, or at least doing better than I did last time (coming a measly fifth in my category of workshop shed) in Shed of the Year competition! 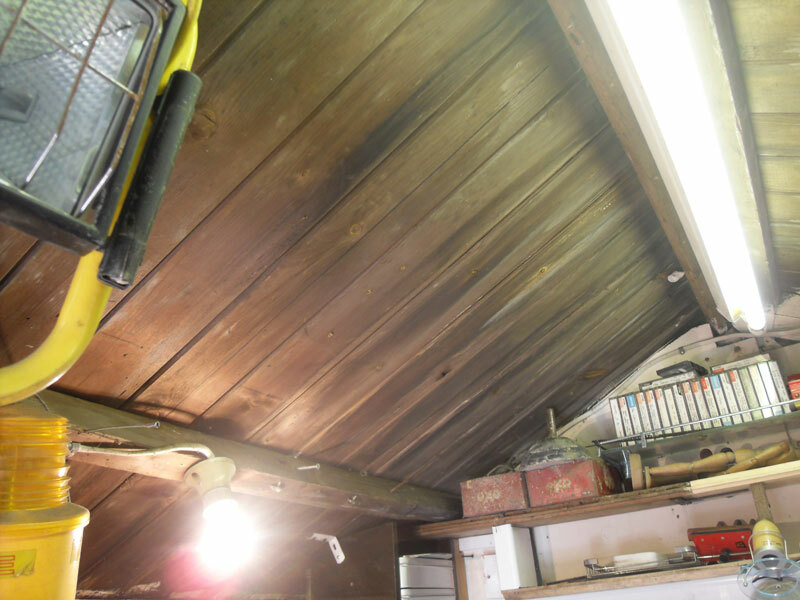 I’ve been working long and hard lately, making several improvements and additions to Clivey’s Shed. 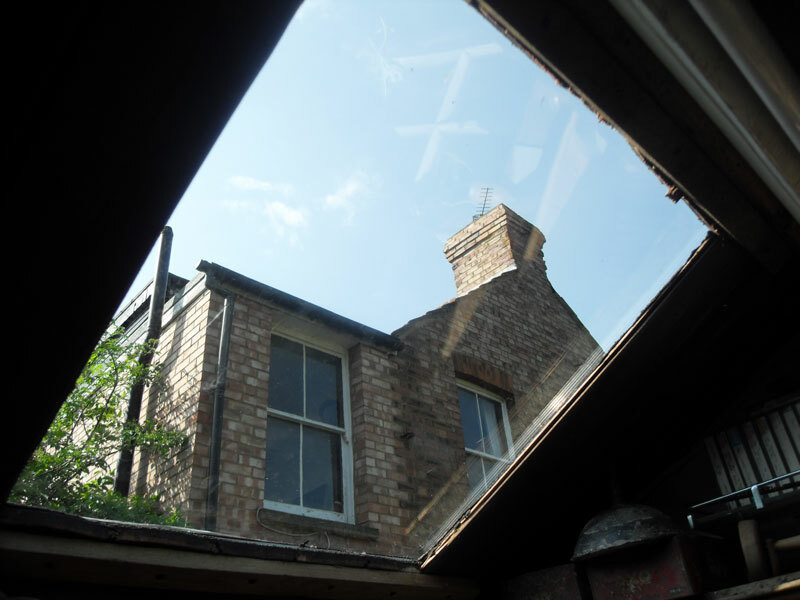 . . mainly lots of new, custom-built storage, tidying and rationalising some of the numerous contents and, most importantly, fitting a self-made skylight for some much-needed natural light. 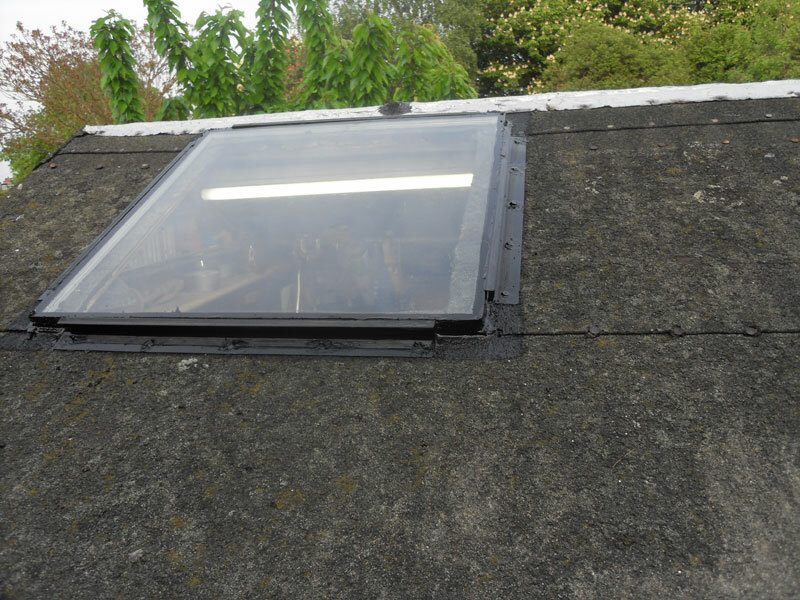 I made the roof window myself – and here’s how. . . 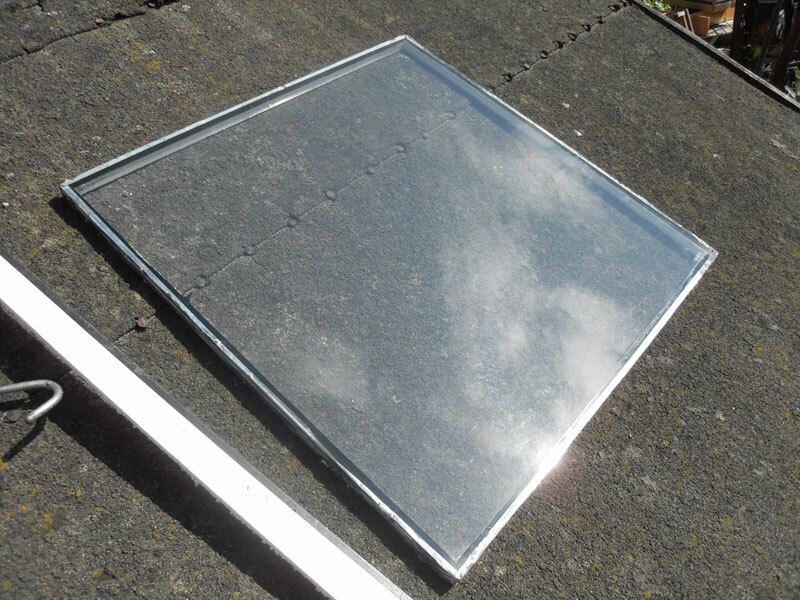 The skylight is made from an old sealed window unit I cut from a discarded aluminium back door. 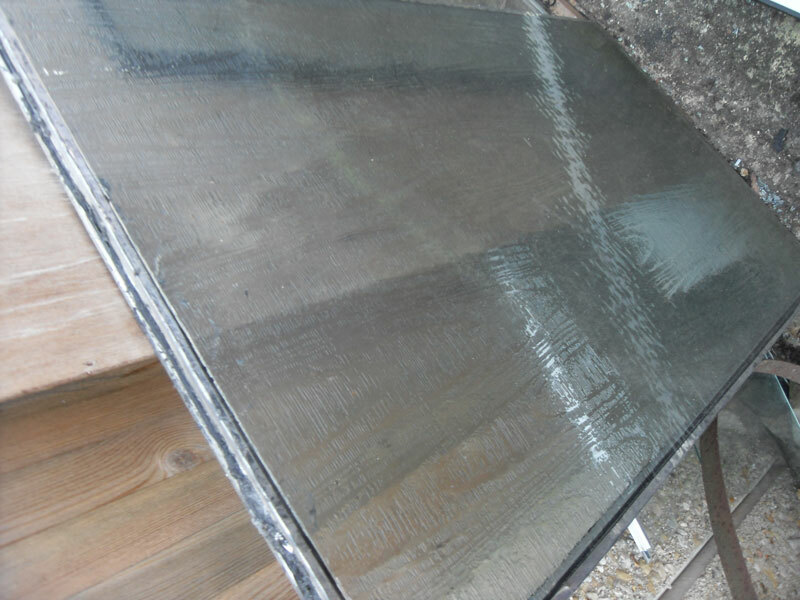 The sealed unit is made of two sides of glass, one clear and the other opaque/patterned, with a aluminium/rubber seal holding the two together. 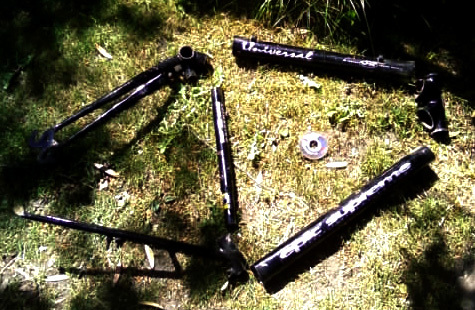 I broke the patterned side with a hammer, carefully so as not to go right through and break the other side! This left a clear pane of glass, complete with the surround/seal. 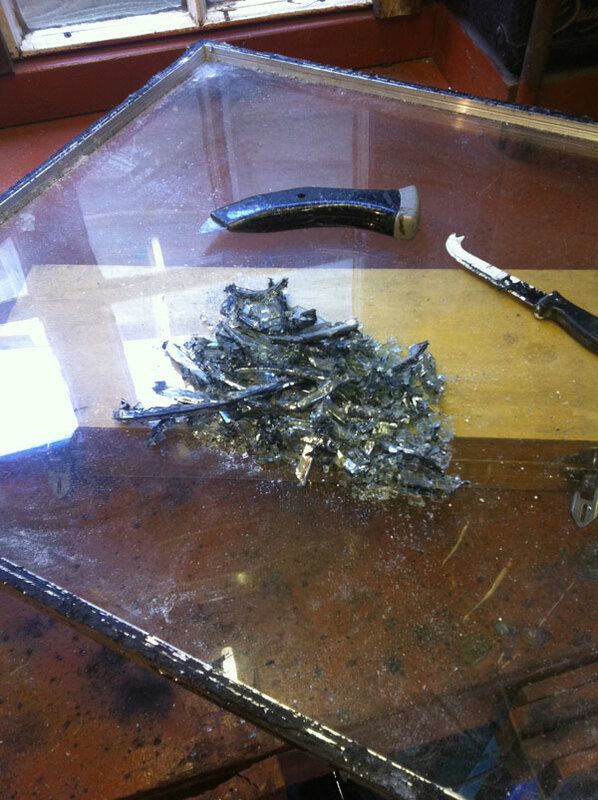 This needed a lot of cleaning up to remove old bits of rubber and some adhering bits of the opaque glass – bizarrely I found an old cheese / fruit knife the best for this and it rapidly stripped off any remaining debris. 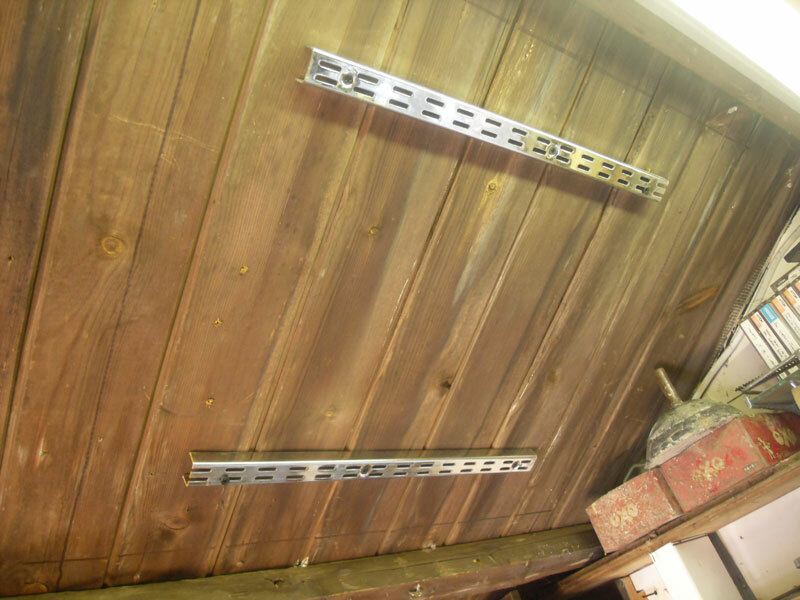 Before I cut the boards, I held what was to become the waste square together with two strips of old shelf bracket, screwed into place into the wood. I did this was because I thought it would be good to keep this section as a blind/cover which could be fitted back into place if needed? (I am guessing that in the height of summer it could get pretty hot / blinding in there and the ability to mask off the window would be quite useful – the wooden cover might even act as a bit of added security if I went away for any period of time?). 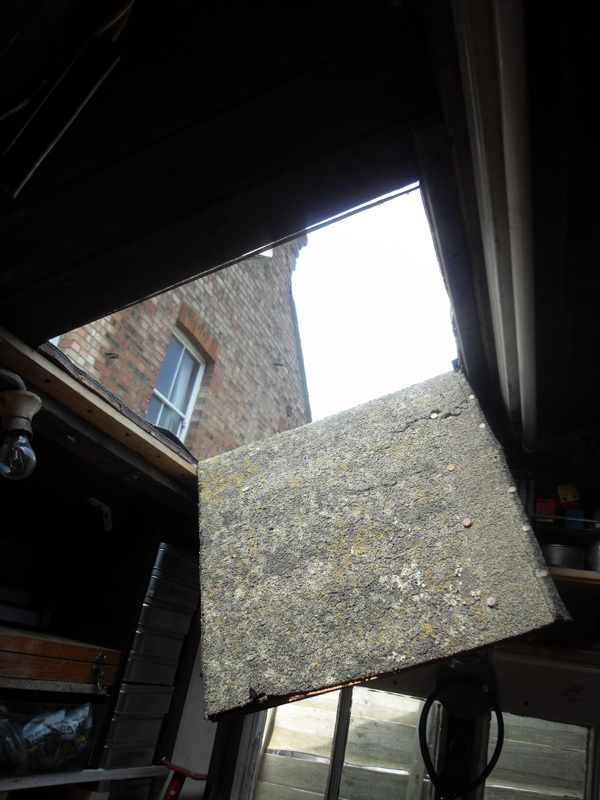 Haing done this, I simply cut out the square with a handsaw and a jigsaw for tricky corners etc. 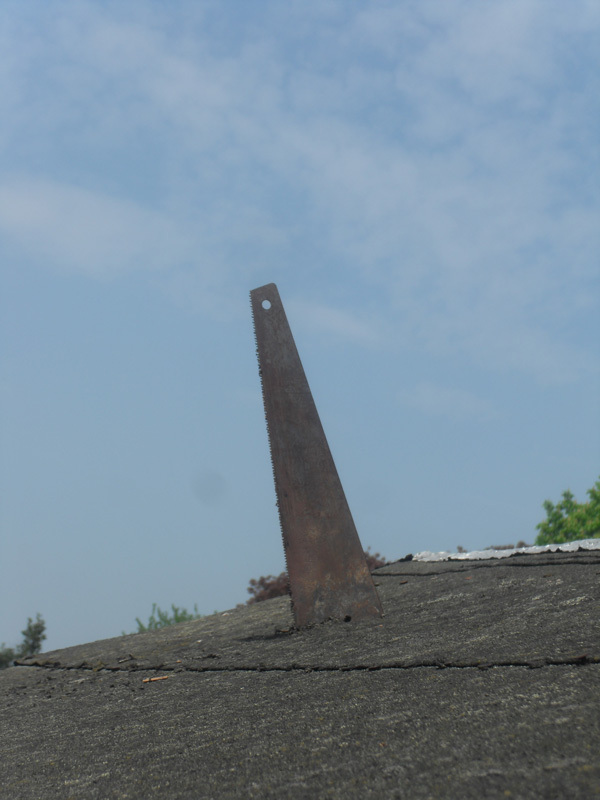 The roof is made of tongue and groove boards with an outer covering of roofing felt, which needed a bit of cutting from the outside with a Stanley knife to remove cleanly. 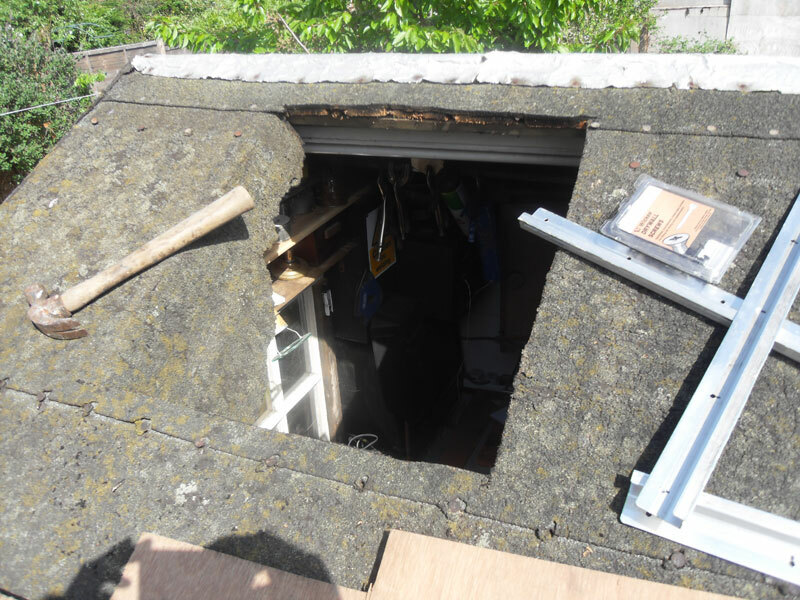 The hole cut - just the roofing felt to go! 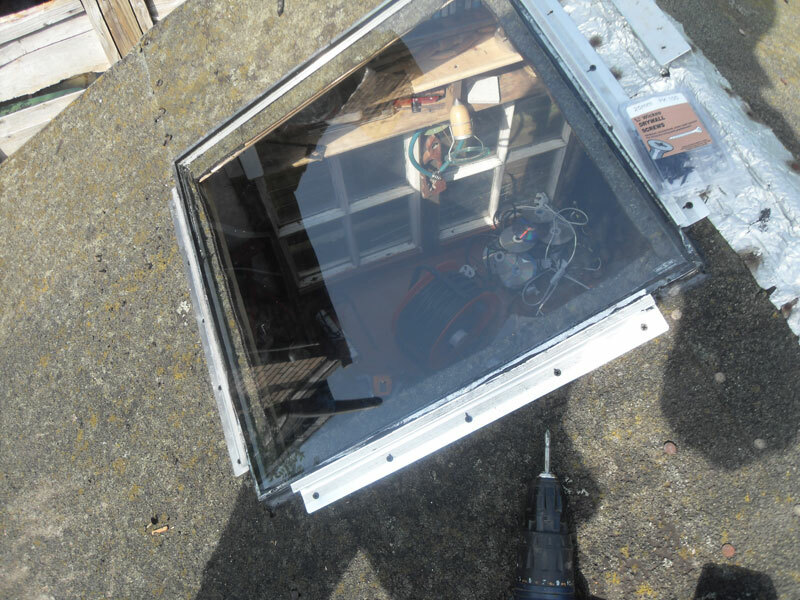 I then simply masticced the glass unit in place on the outside of the roof (using waterproof sealant – £0.99 from the Pound Shop, what a marvellous place that is!! 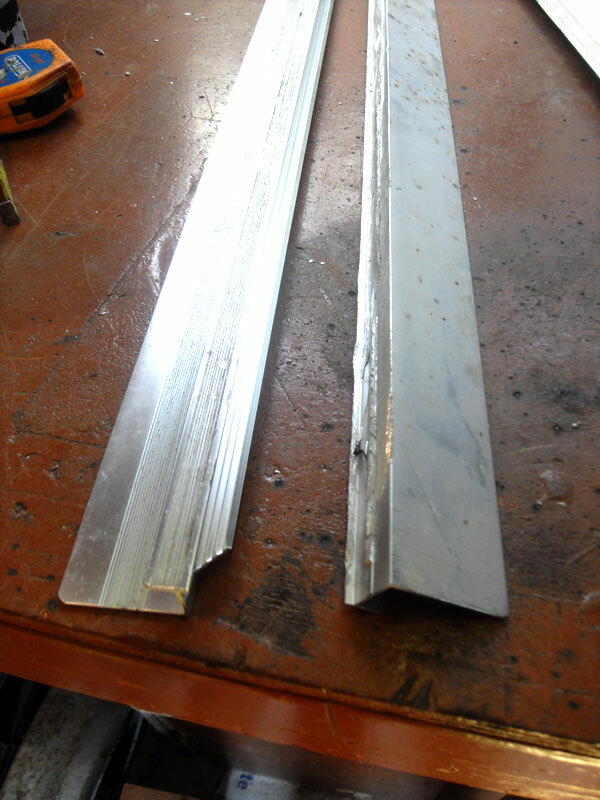 ), but also secured it down to the roof with the use of four aluminium strips (one per side/edge of the unit) I adapted from old kitchen cupboard door pulls (there was a strip of ally that needed to be cut off with the angle grinder (left hand image in the second photo below) allowing the strip to be fitted flush to the edge of the indow (right hand image in the second photo below). Window unit ready to go in! 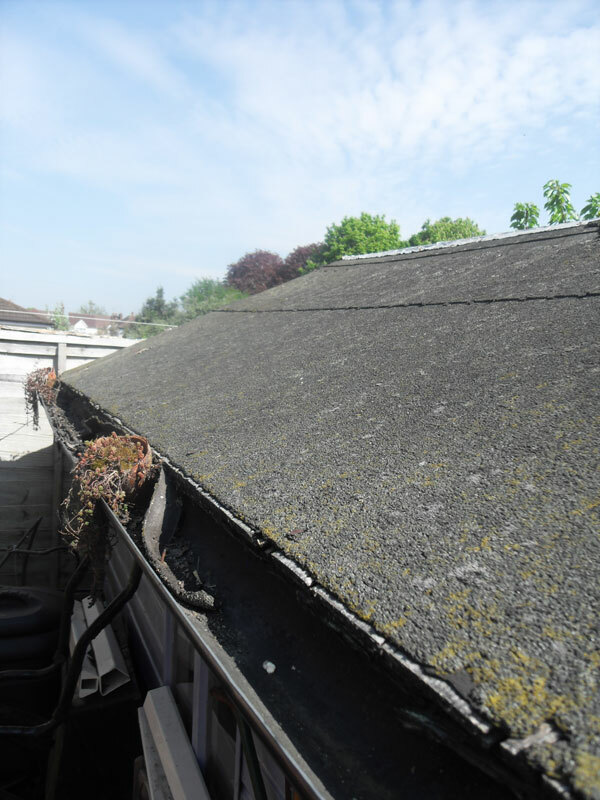 Everything was sealed at every step with more mastic – the edges and strips were given a coat of gloss black paint afterwards just to help it blend into the roof. So, not a bad mornings’ work if I say so myself – amazing what a bit of planning and forethought can achieve (not normally my strong point!). There has so far been one heavy downpour of rain since I fitted the thing, and the whole construction seems surprisingly waterproof! There were a few drips from the top leading edge, but I think some sort of aluminum strip over the whole top edge may sort that and be generally advisable at some point (the whole roof needs work to be honest so I may try to do all these patches at the same time). I am loving my new, well-lit, workspace and already I can feel the creative juices coming back to life! I actually have a second, much larger sealed unit that I may even put into the other side f the roof for even more light – I might see how this one stands up to a summer/winter before doing that!? 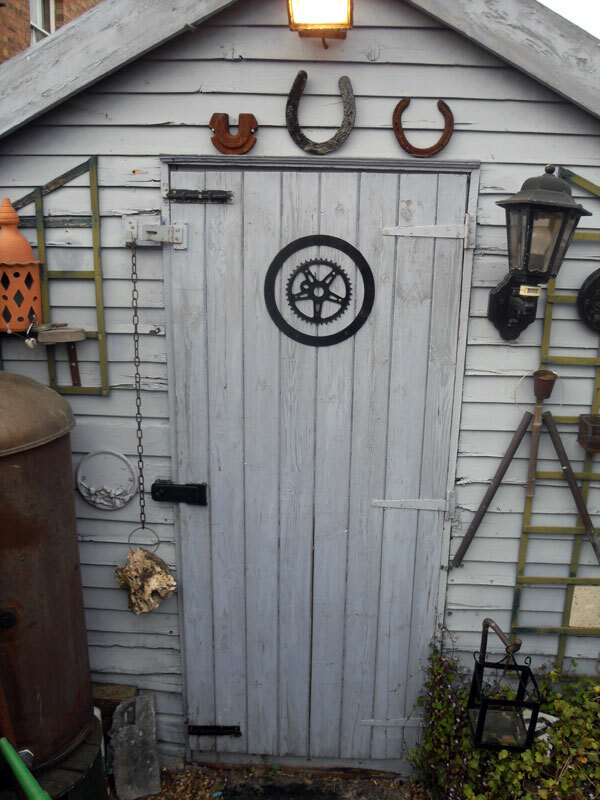 More photos of the improvements, and of the original look-shed can be seen on my ‘Clivey’s Shed’ page on Readers Shed’s.co.uk from Monday 16th – please vote for me in the public vote from Tuesday 17th May!! The miracle that is vinegar!! My mate GG imparted some great information to me re the cleaning properties of vinegar the other day. 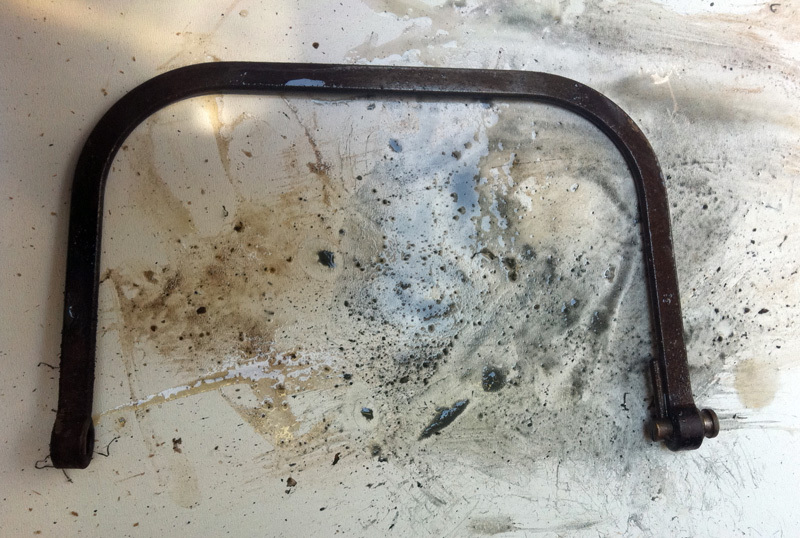 Since then I’ve had a sneaky look through the Internet and indeed it does seem that soaking rusty metal in vinegar overnight makes removal of the rust a piece of cake. 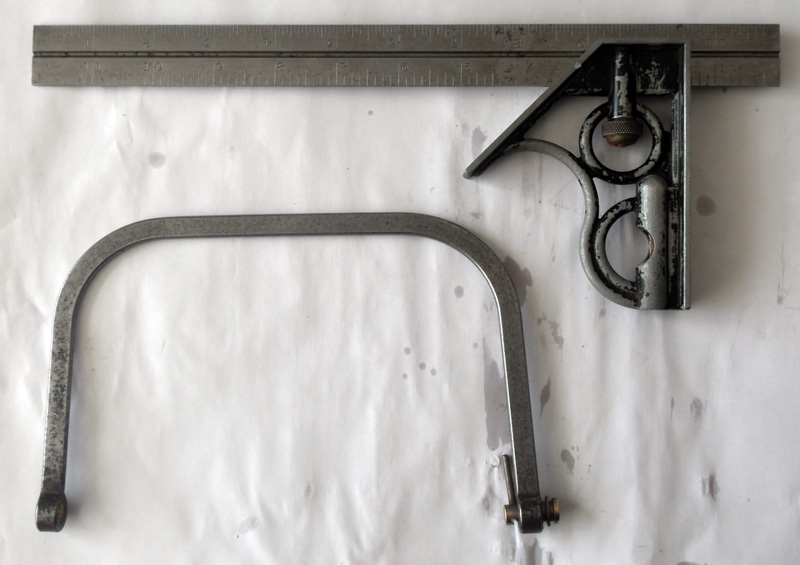 I even noticed that one of my favourite firms / blogs – the Best Made Axe Company – have just posted a piece re restoring old axe heads with vinegar.. So, having bought a bottle of Morrison’s own cheapest vinegar (13p for a big bottle, no less) I filled an old plastic tray with the stuff and chucked in some rusty bits and pieces. 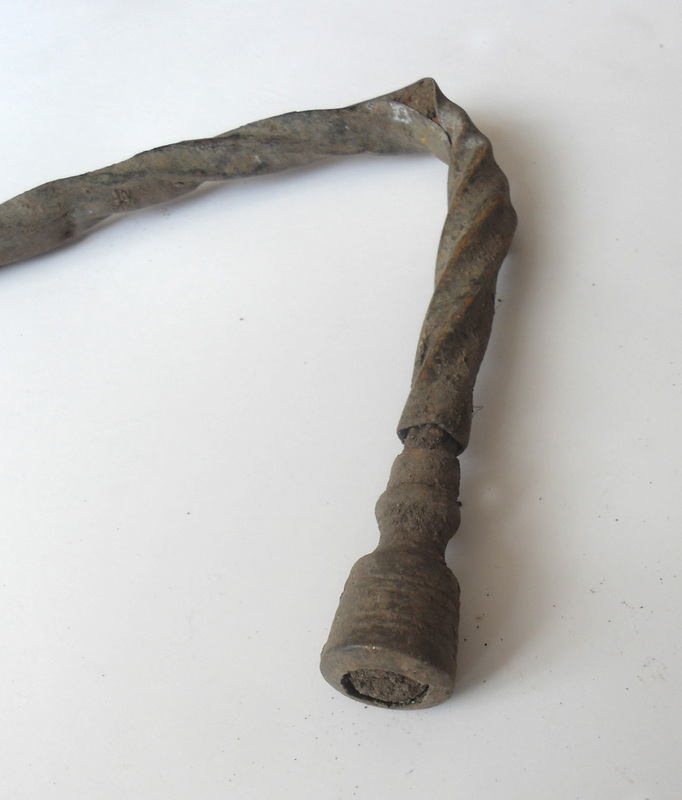 After soaking overnight, a light scrub with wire wool or a kitchen scourer is all it takes to remove the rust – without the pre-soak it would have taken ages and I am sure would not have resulted in anything near as good. Wash the remaining vinegar off under water and hey presto! The freshly cleaned metal tends to re-rust incredibly quickly I notice (once the passivation layer has gone, I guess) so a light coating of oil is necessary almost immediately for protection. 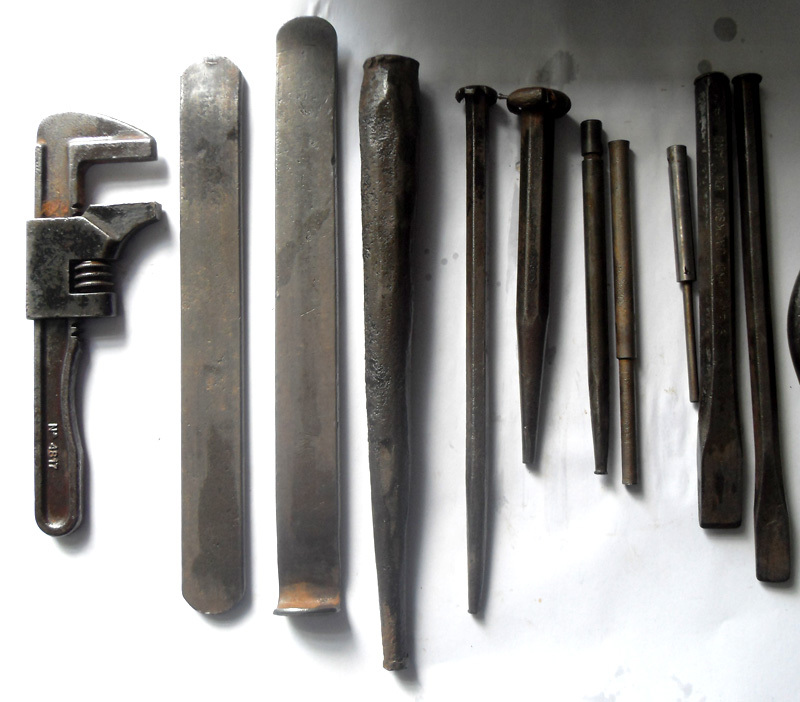 Here are some shots of an assortment of freshly cleaned tools – I stupidly forgot to take many ‘before’ photos but just imagine a bunch of rusty old tools like you find at jumble sales and you will not be far off the mark! I now intend to keep a constant bath of the stuff on the go – the only downside I can find is that it makes my shed smell like a rather unpleasant fish and chip shop, particularly on a hot day when the door has not been opened for a while! The Cakes at The Southbank! This Saturday coming (7th May 2011) King Alfred’s Cakes will be doing an hour long set outside the Southbank, London, as part of the Festival of Britain celebrations. Organised in association with folk organisation/collective The Magpie’s Nest, we are on in one of their ‘busking huts’ at 1pm… please come along, see us play and throw coins/notes into our hat! I’m not quite sure exactly where we will be but I am sure you will find us!! The other day I was walking past an area of public field that had recently been levelled with the help of some brought-in soil. Judging by the amount if scrap iron that was visible poking out of the new soil, I guess it had come from some form of landfill site. 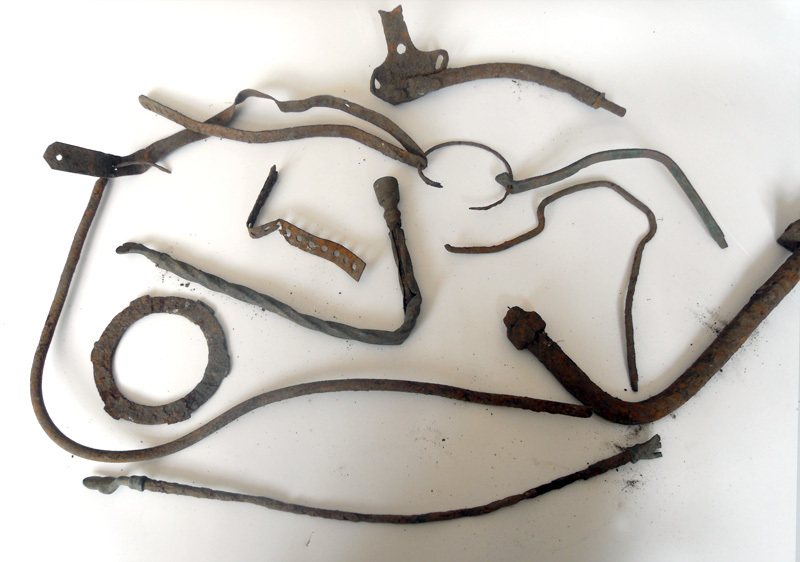 Far from being disgusted by the presence of this unsightly rubbish in the spoil, I found rummaging through and collecting potentially useful bits of it a fantastically fun exercise!! 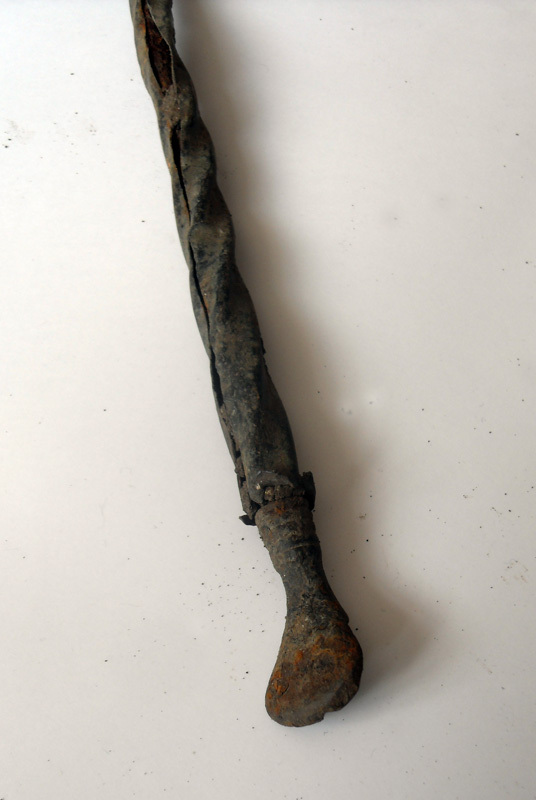 In particular I like this bits – the rod has ends made of lead ! 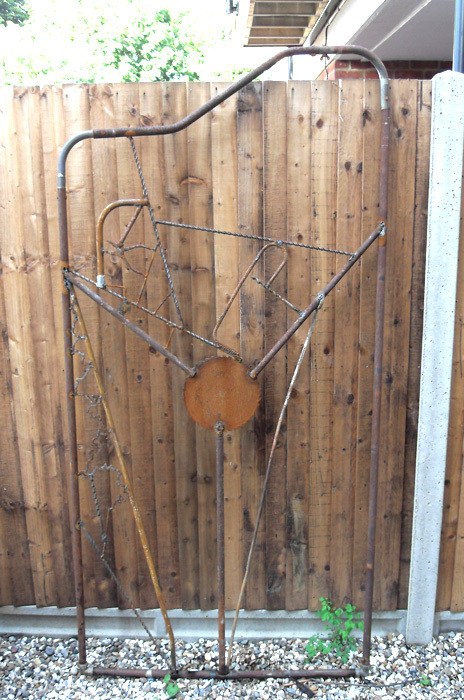 Any ideas / comments re what they might be would be gratefully appreciated!? Eric – the final chapter. . .